I admit it. When I bought my first boat I had no idea what I was doing – I just wanted a boat. Luckily I got a decent deal on a well kept boat and was able to get my money back out when selling. For those who’ve owned boats before, you’ll understand just how fortunate I was. Now I’m not going to discuss how to actually buy your first boat, including surveys or other pre-purchase inspections – that’s another subject which I will cover another time. This will be purely focused on how to pick the right type of boat for your first boat purchase. The first boat I purchased for myself was a 20-foot ProLine Dual Console. Here’s how I picked that boat, and why you shouldn’t follow this same method. While living in the Pacific Northwest I spent some time around friends who were on the water in their boats. Generally speaking, our boating waters consisted of 4 different types – deep freshwater rivers & lakes, shallow freshwater rivers & lakes and the Pacific Ocean. My friends weren’t fishermen so generally they focused on recreational boating in the deeper freshwater rivers and lakes. First mistake – I was in a hurry. When I got to Florida and rented a house on a canal with direct Gulf access, I was determined to buy a boat as quickly as possible so I could get on the water. Second mistake – I started looking for boats like the ones I was familiar with in a different area. My friends owned dual-console and ski or wakeboard boats. I remembered the good times we had on them and how they were so convenient for what we liked to do. What I didn’t do was consider all the other things I list below. Now that you’ve seen a couple mistakes I made and learned from the hard way, I want to share the ways I now pick boats. Being in a hurry usually means you will make a quick decision. If you don’t have time to evaluate your options it is very possible you will choose the wrong type of boat, pay too much for one, or inadvertently buy one that needs repairs you didn’t know about. Figure out how much you can spend on your first boat, not only from a purchase perspective but also for maintenance/repairs and ongoing usage expenses like boat storage, boat fuel, increased fuel from towing on trailer and things you may want to add to it. If your budget is say $10,000 and $100/mo for maintenance and usage, you probably don’t want to spend all $10,000 on the boat purchase because that would not leave you very much for buying fuel and using the boat. You may wish to buy a $5000 to $7000 boat instead and reserve the extra money for using and maintaining your boat. Think how and what you want to use the boat for. 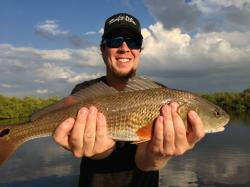 If you are in an area where you would primarily use the boat for offshore fishing and your budget won’t allow you to purchase a boat for that usage, it may be disappointing but it is much better than buying something that constantly needs repairs and you can’t use due to it being broken. At least you will have saved your money. So think about how you will primarily use the boat. Will you be bass fishing on a lake, inshore coastal fishing, just cruising up and down the river, wanting to cross the gulfstream from Florida to the Bahamas and live aboard the boat? There are many different ways people use their boats, so try to narrow it down to what you think you will be doing with the boat. This seems very simple, but it can be a bit more complicated and confusing to first time boat buyers. In some areas, there may be a predominant boat that most people use for any given intended purpose, and in other areas there may be multiple types of boats used for the same purpose. Further, if one is not familiar with boating, the local water conditions and different styles of boats it can become confusing quickly. Go to a local boat show and talk to different dealers. Remember each will have a bias toward the type of boat they sell, but it can be an easy starting place. The dealers want to talk to you about your boating desires! Just don’t buy anything until you are sure it’s the right decision! Talk to friends who have boats. If you don’t have any, make some friends at local marina docks or bar. Offer to buy a beer in exchange for picking someone’s brain. Dock hands especially will appreciate this. Remember any opinions are just this – opinions. Get as many as you can and then form your own but do heed the advice of more experienced boaters. Join an online boating forum. Before you ask “newbie” questions, search the forums so you don’t ask the same question someone else just did. Be courteous, try to show that you are doing your own research and ask questions. Look at boats for sale in your area and see if there is a pattern. Boat Trader and Craigslist are two easy places to find boats for sale. Once you have settled on the type of boat you are interested in, go look at ones for sale. It is generally easier to do this at boat dealers since they may have more than one different make and model in one spot. See what you like and don’t like about the different types of boats and make a list of the “must haves” and “wants” for your future boat shopping. You can also go view boats that are for sale by owner – however I would suggest only doing this when you are becoming more serious about purchasing as many individuals do not have the spare time, or do not like it when someone is just wasting time with no intention of purchasing their boat. Please be considerate of others. You may also be able to go back to the docks or bar (where you made friends, remember?) and ask around about the type of boat you are looking for. Which manufacturers have a good reputation, and which ones to avoid. Ask if anyone knows someone with a boat you might be able to look at. Renting a boat the same type you think you want can be a great way for a longer term test drive if you will. You can usually rent boats for a half or full day, some times even longer. If you are able to rent a boat, go try and do everything you can think of that you would do with your boat when you get it and see if the style of boat you’re looking at handles it well. Remember that there is no perfect boat for every situation so keep track of the strengths and weaknesses of this type of boat. If it will do most of what you want fairly well, then it may be a good choice – but if it doesn’t do anything you want very well, it may be a poor choice. 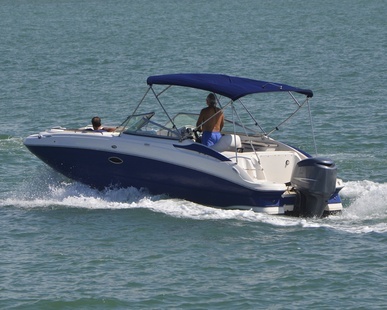 Renting is a great way to try out a boat with a low financial commitment. If you find you hate that style of boat, you will be glad you didn’t buy one. If you find that you love that style of boat, your decision will be confirmed. If you try out a boat and don’t like it (hopefully before you buy it) don’t be afraid to start your search all over. Having a boat you don’t like will likely lead to continual disappointment and not wanting to use the boat which in turn may leave you to sell it at a loss. Have fun & good luck in your search! Looking for a boat can be a lot of fun. Remember that you don’t NEED a boat (unless its part of your job) and that it should be all about fun. Try to enjoy every step of the process and be grateful that you’re in the position you can purchase a boat.